The Juno Awards were held this week in Winnipeg, culminating with the televised gala at MTS Centre. The show was co-hosted by Serena Ryder, Classified, and Johnny Reid. Performers included Brett Kissel, Classified, Dean Brody, Gord Bamford, Matt Mays, OneRepublic, Sarah McLachlan, Serena Ryder, Tegan and Sara, The Sheepdogs and Walk Off The Earth. Robin Thicke withdrew from his controversial scheduled performance due to ongoing issues with his vocal cords. 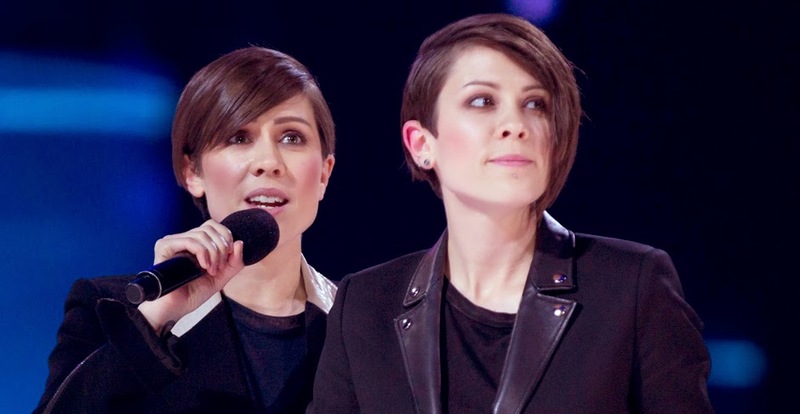 The big winner of the night was the sister duo Tegan and Sara, taking three awards. They won Single of the year ("Closer"), Group of the Year and Pop Album of the Year (Heartthrob). Montreal's Arcade Fire were on tour and weren't able to attend, but they "performed" (pre-taped recording) a world-premiere for the show. They also picked up a pair of awards, winning Album of the Year and Alternative Album of the Year for Reflektor. Serena Ryder was another double winner, taking Artist of the Year to go with her prize for Songwriter of the Year. During an acceptance speech, she took a moment to defend and praise Justin Bieber, who was not in attendance but was booed when his fourth win in a row for the Fan Choice Award was announced. Violinist James Ehnes was also a two-time winner. In the Classical section, he won for Solo or Chamber Ensemble (Prokofiev: Complete Works for Violin) and Large Ensemble or Soloist(s) with Large Ensemble (Britten & Shostakovich). The local Winnipeg band Bachman-Turner Overdrive were inducted into the Canadian Music Hall of Fame. The band had been bitterly divided and were not on speaking terms in recent years, but reunited onstage to accept their awards and were all smiles on this occasion. Fox Karim Ouellet – Abuzie *D.E.P.